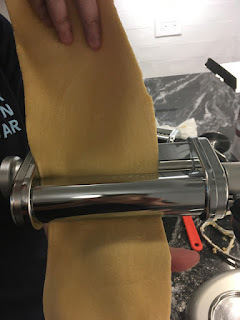 Two years ago now my friend Rachel and I took a pasta making class together at the Institute of Culinary Education. A couple of weeks ago, we finally had a chance to put what we learned into practice, using her spiffy Kitchenaid stand mixer. It was incredibly easy -- much simpler than kneading pasta dough by hand! -- and the results were fairly amazing. 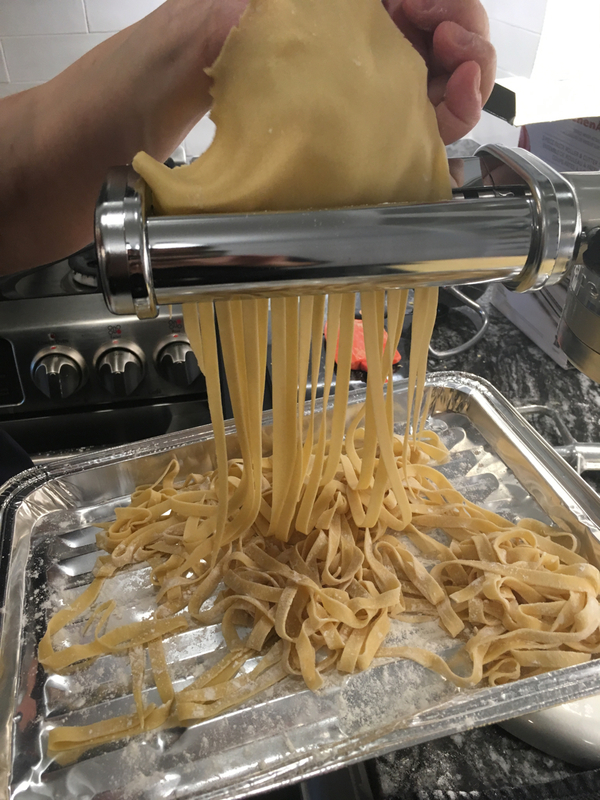 Which is dumb because every single (rare) time I've made pasta from scratch I've ALWAYS said something like "the results were fairly amazing." 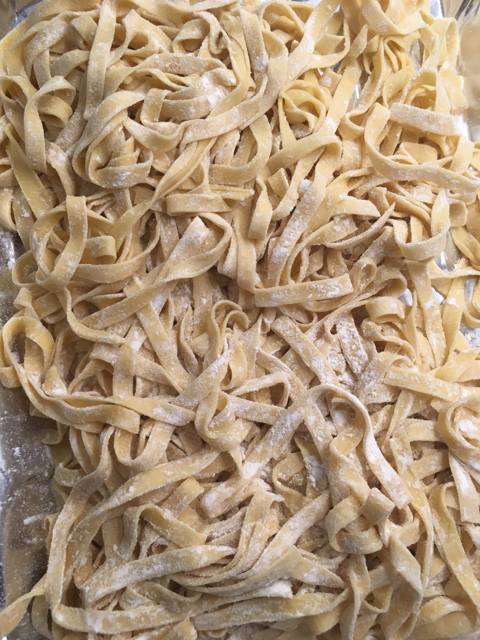 And yet, how many times have I made pasta from scratch? Not enough. Not nearly enough. 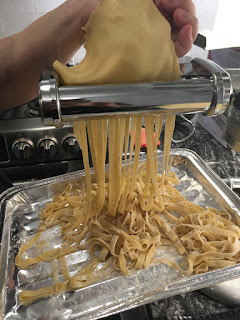 Anyway, Rachel's Kitchenaid definitely wins pasta night. 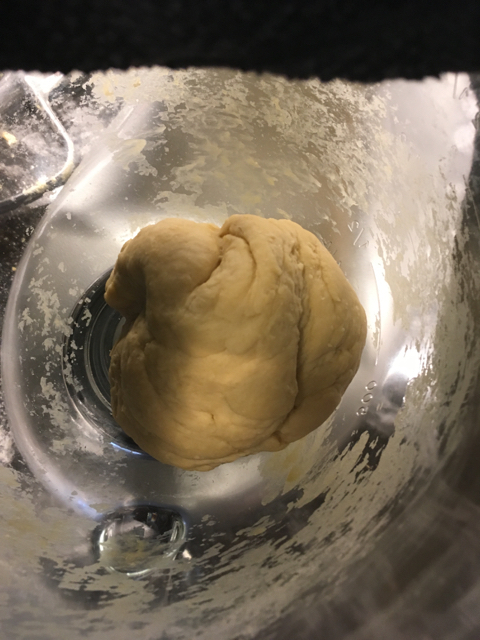 From unimpressive flour to impressive pasta dough in just a few minutes. And following a short rest and some liberal flouring, the rolling went super smoothly as well. So lovely. Below is the post-cooking version, with apologies for the slightly steamed-up camera lens. 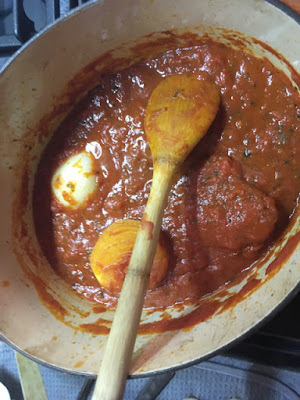 Take a can of whole tomatoes, 5 tablespoons of butter, an onion that you've peeled and cut in two, and a little salt, and throw them in a pot for 45 minutes, stirring and occasionally smooshing the tomatoes a bit. Remove the onion halves. Done. You can see why I was skeptical. But holy crap was that good. It makes me rethink the whole idea of cooking Italian food with olive oil. I insisted on adding a little fresh basil. I make no apologies for that. 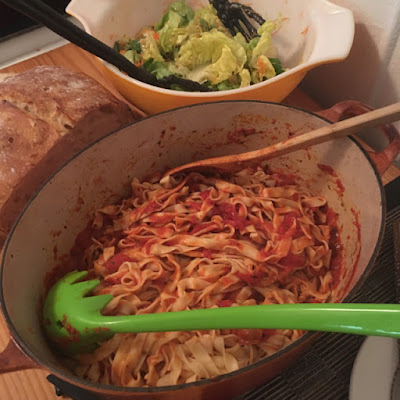 Such a good, simple, hearty meal. And good fun to make and share it with a friend. A couple of notes. Since the sauce is so simple, using super-good tomatoes is imperative. I hunted around a bit and I think Cento San Marzanos are the ones to beat. 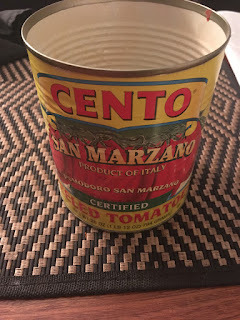 Delicious, Italian, and the can is BPA free, which I look for in cans these days. 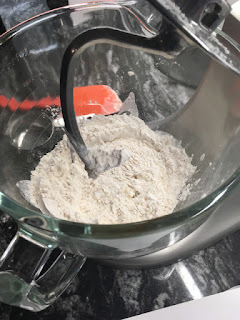 Also, the recipe from ICE said to use 100g of flour plus 1 egg per person. 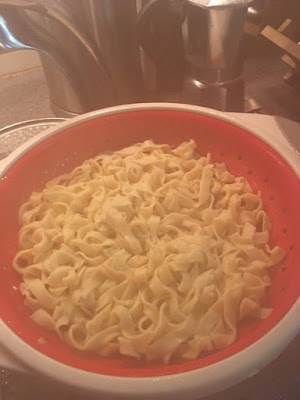 We were skeptical, so we ended up using about 300g of flour and 3 eggs (and a small amount of salt and olive oil and water). That made a LOT of pasta. I had leftovers for dinner for most of the week. I am not complaining in the least, just stating for the record that, yes, 100g of flour is more than enough for 1 serving of pasta. 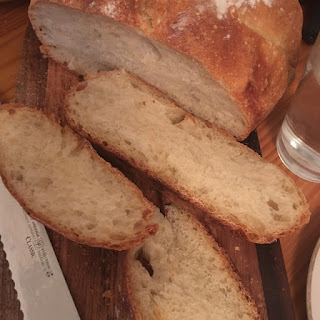 Finally, I made a loaf of bread, since there might not have been enough carbs otherwise. So here's a picture of that too.